Coming from out of town? Make it a two head race weekend. 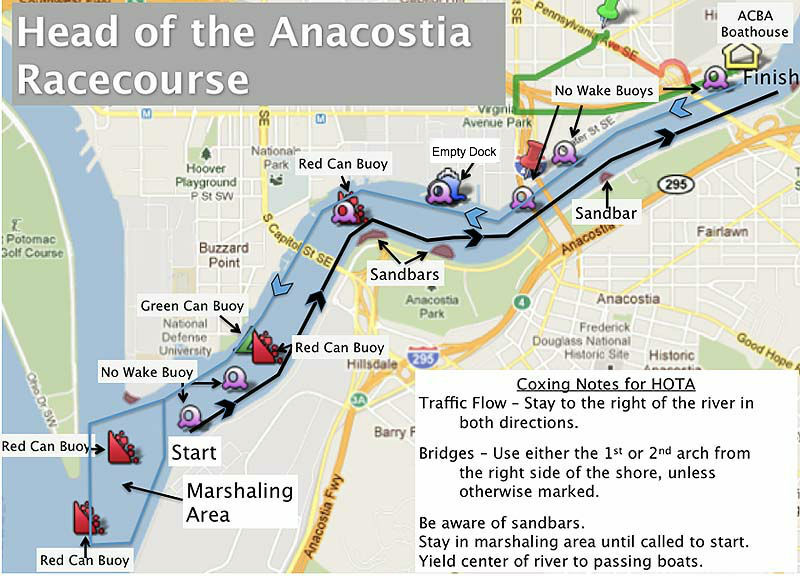 The Head of the Potomac is on Sunday September 25th. If you are interested in leaving your trailer overnight at the ACBA boathouse before heading out to the Head of the Potomac on Sunday morning, email the race director at hota@capitalrowing.org to confirm space is available. We are only about six miles away from the HOTP starting line. Overnight trailer space is available but limited. IMPORTANT: Send an email to the hota@capitalrowing.org with your trailer and van details by September 20, 2016 or you will not have space to park!